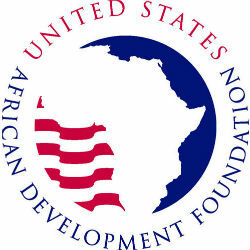 The United States African Development Foundation (USADF) has awarded four local firms with USD 400,000 in grant funding to support the Tanzania rural electrification project. Speaking at a presentation ceremony in Dar es Salaam, Tanzania Energy and Minerals Minister, Professor Sospeter Muhongo congratulated the winners and indicated that the government has prioritized the rural electrification project in an effort to reduce poverty and increase access to national energy grid. “In that respect we commend GE Africa, USAID and USADF for supporting us in this endeavor,” he said. According to reports, Jamii Power will use the funding to expand its current generation system from 11 KW to 33 KW; L’s Solution will construct a 12 KW solar powered mini-grid; Lung’ali Natural Resources will develop a small hydro-power system; and Space Engineering will develop a hybrid solar biomass power plant with the capacity to generate and distribute 40 KW of electricity.